Point2 Homes gives you far more than a simple list of houses for sale. Get instant access to a lot of relevant information about North Vancouver, BC real estate, including property descriptions, virtual tours, maps and photos. The search results pages also have a wealth of information on North Vancouver, BC, if you scroll all the way down. There are 296 houses for sale in North Vancouver, BC. Searching homes for sale in North Vancouver, BC has never been more convenient. With Point2 Homes, you can easily browse through North Vancouver, BC single family homes for sale, townhomes, condos and commercial properties, and quickly get a general perspective of the real estate prices. Also, you’ll never miss a bargain if you filter listings based on house price drops in the past six months. Use the map view to find North Vancouver, BC homes and apartments for sale, based on amenities or city features that you may want close by. You can close in on a specific neighbourhood or area by simply drawing around them with the polygon or radius tools. Stay informed about the latest entries on the real estate market by saving your searches. This way, you get new listings in your inbox, daily or every week, based on your preferences. If you’d like to get in touch with a professional, agents are displayed next to their listings, and they’re easy to contact through the online forms. If you want more options, you can click the Tools tab and Find an Agent, and you’ll get a list of helpful and knowledgeable real estate agents in North Vancouver, BC. Visit the Point2 Homes blog and you can find up to date expert advice on many markets throughout Canada, regular market reports, neighbourhood scoops in cities throughout the provinces, real estate deals and useful recommendations. The City of North Vancouver, located in British Columbia close to Vancouver, is a waterfront community surrounded by beautiful mountains and ocean views. North Vancouver has a population of around 84,000 and spans an area of 11.8 sq. kilometres. The Burrard Inlet separates North Vancouver from the Downtown area, and the city is a residential, commercial, and recreational hub. Framed by the North Shore mountains, North Vancouver offers a lovely lifestyle and standard of living. With easy access to both Downtown Vancouver and nature and wilderness, the city is popular among young people, families, and retirees. Located just a 20-minute drive from Vancouver, the city is very pleasant and many residents commute from here to Downtown Vancouver and take advantage of the great transit links, particularly the SeaBus. Residents can also enjoy nearby ski resort Grouse Mountain in the winter time, which is located just 15 minutes from North Vancouver. North Vancouver’s landscape is known for huge mountains that tower over the city, as well as waterfalls, creeks, forests, and of course, the Burrard Inlet. The city enjoys a temperate coastal rainforest climate, and experiences an abundance of sunshine in summer, and generous levels of precipitation in the winter. Average daily temperatures in summer reach around 17°C, and in winter average at around 3°C. However, in winter, much of the rain turns to snowfall in the mountains. North Vancouver offers a number of recreational activities in the nearby North Shore mountains. You can ski and snowboard at local Grouse Mountain during the winter months, and wander the many trails that sprawl across nearby Grouse, Seymour, and Cypress Mountain year-round. Lonsdale Quay is a popular attraction known for its beautiful views of Downtown Vancouver and the Burrard Inlet. The Quay is home to a number of First Nations art galleries, and a microbrewery. Capilano Suspension Bridge is also a popular spot, as well as Cleveland Dam and Capilano Suspension Fish Hatchery. Other activities in the area include zip lining, paragliding, and wildlife watching. Deep Cove is another popular destination, which is a seaside community perfect for outdoor enthusiasts, kayakers, and boaters. 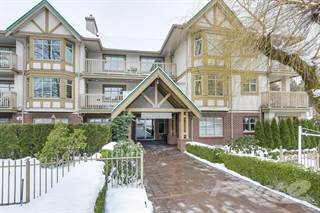 If buyers can’t find a home in Edgemont Village, Capilano is often the next best thing. The area is incredibly sought after and features a mix of large, family homes as well as small bungalows and ranchers. 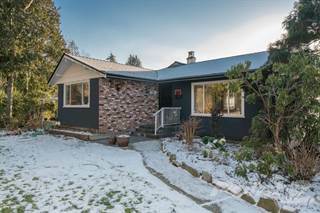 It’s also within walking distance to Edgemont Village, has good access to Marine Drive and Lion’s Gate Bridge, and is in a very desirable area in terms of school catchments. Capilano Highlands is also a very charming area with older, larger homes and some of the most expensive properties in North Vancouver. Deep Cove is a lovely area located at the foot of Mount Seymour. The area offers a pleasant lifestyle with access to the waterfront and harbour, along with activities such as hiking, kayaking, paddle boarding, and biking. The housing is a mix of luxury and rustic cabins, and detached houses. There are 2 elementary schools and 1 secondary school in the area. Lower Lonsdale is the waterfront neighbourhood that runs up Lonsdale Avenue and has incredibly easy access to public transit, particularly the SeaBus which provides access to Downtown Vancouver across the Burrard Inlet. The area is undergoing development, as old shipyards are being torn down to make way for retail units and condominiums. Central Lonsdale is considered by many as the heart of North Vancouver, and features high-rise homes, townhouses, and retail amenities. Upper Lonsdale is one of the city’s more prestigious areas and contains luxury detached properties with more land, as well as townhouses, condos, and smaller detached homes. Located between the slopes of Mount Fromme and Mount Seymour, Lynn Valley is a beautiful forested area with natural parks and outdoor activities, as well as a large Shopping Centre and a range of housing options. New family homes and condominiums have been emerging over the years and are currently in development to accommodate more residents. Detached housing prices have become more expensive and average around $1,000,000. 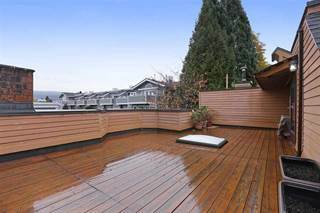 North Vancouver’s real estate is incredibly desirable due to its proximity to the mountains, city, and ocean. Like the surrounding areas, the market is hot and sales are continually topping the monthly averages. Housing in the city consists of condos and multi-unit residences, especially in areas like Lonsdale Quay, and detached properties are more common in areas such as Capilano. The benchmark price of a detached property in North Vancouver hit $1,566,500 in May 2016, while apartment prices averaged at $501,000. Housing demand in Vancouver is undeniably high, largely led by foreign investors and the city’s desirability. However, North Vancouver and its surrounding areas offer an incredibly pleasant lifestyle due to its positioning close to both the city and outdoor activities. North Vancouver has great transit and road links to other areas. The city is served by Highway 1, which is part of the Trans-Canada Highway, which runs to Whistler and beyond, and to neighbouring areas such as Burnaby. The City is connected to Vancouver by the Lion’s Gate Bridge and the Second Narrows Crossing. There are 30 elementary schools and 8 high schools in the District of North Vancouver, as well as École André-Piolat, a Francophone primary and secondary school. North Vancouver also has multiple private schools, including Lions Gate Christian Academy and Bodwell High School. The city is home to Capilano University, and Simon Fraser University and the University of British Columbia are located in neighbouring areas.